Download--click save--save in Desktop using the same file name always. I would save it on your desktop if I were you, that's what I do all the time, you should see my desktop right now. Examples that are definitely going to make the information stand out, so the hiring manager doesn't have to search. That's what we have here for you to work with. 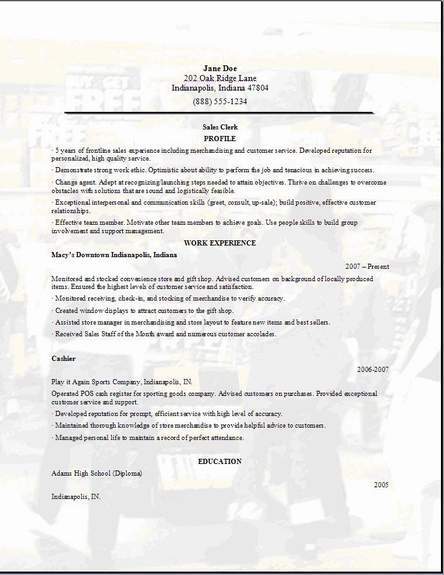 Use these as a guide to make your own individual retail sales resume. When you look at the end result, of creating your own resume today, you will get a better feel of accomplishment out of it when you are done. After all, that's what you want isn't it, an example to gather ideas from, and you can edit this resume any way you want. Go to some of the other pages and mix and match your ideas until it all comes together for you. Helping customers find the products they are looking for in the store. Use the cash registers to ring up the merchandise purchased by the customer. Using bar code scanning, and credit card processing machines at checkout lines. Help decorate product displays in the store. Replace inventory when needed and also take inventory counts. The use of basic skills is normally all that is required with no special education requirements. Although it will help if you have a great personality and communication skills with the customers. The more you are helpful to the customer the better. Bookmark this page so you can check back often. Now get a cover letter for your position and then try the job search engine. Go ahead and just type in your zip code to look for a great job in your area that is close to home. Broaden your search if you need to and don't mind a longer commute to work. Send me a comment on the contact us page if you need any help with your resume or have some questions. Go to the Cover Letters link above to get your retail sales cover letter free. Edit it with your own information and it will look fine. 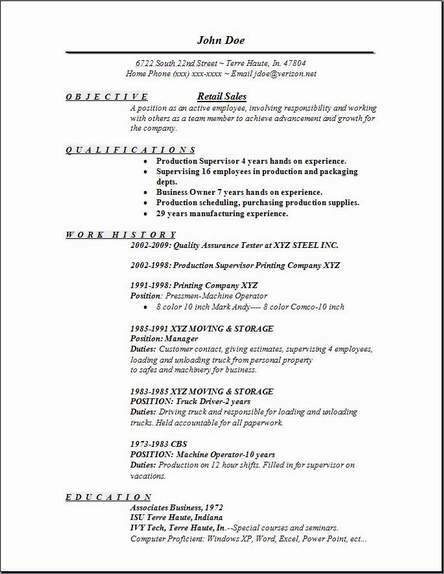 Hopefully we have helped you in some way, shape, or form to gather some good templates to create your retail resume. Tell your friends to help them out. Link code to this page is provided below. Share.